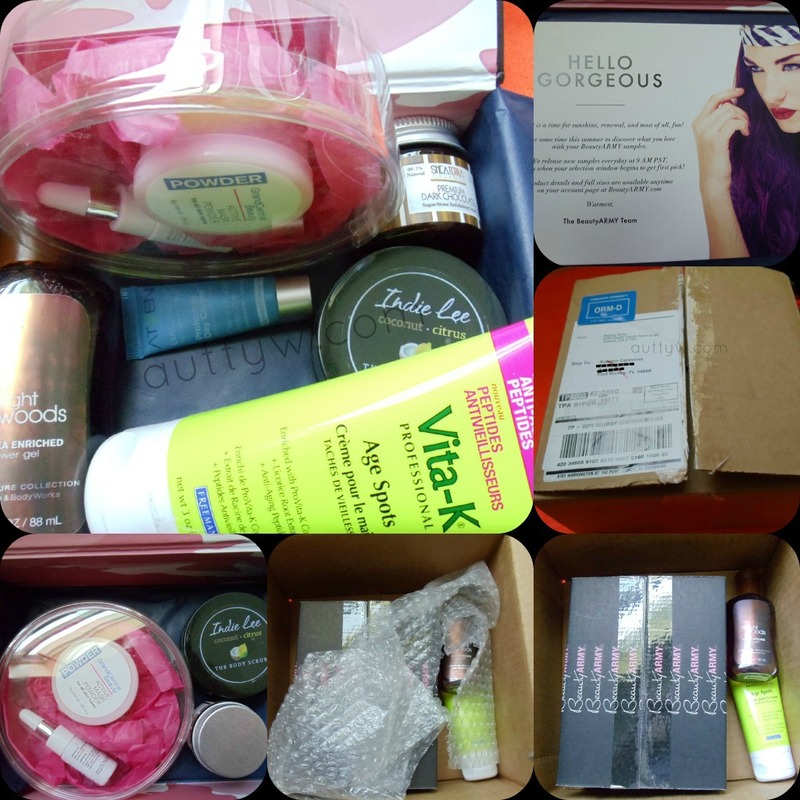 AuttyW: Beauty Army August 2012! I got my BeautyArmy kit today and could NOT wait to photograph it and show you all! I'm holding back on using a couple of products so I can get this blog post up haha! This month without out a doubt was amazing! Just like last months. I didn't have to retake the little Beauty Quiz they give you, everything I picked was there when I logged in and I am excited about everything! For starters my box had to come in a different shipping box! One of the samples that I got is big enough to take up almost the entire box. Granted its mostly packaging, but we will get to that in a second! My first sample is going to be the biggest one in the box, not weight wise but size wise. 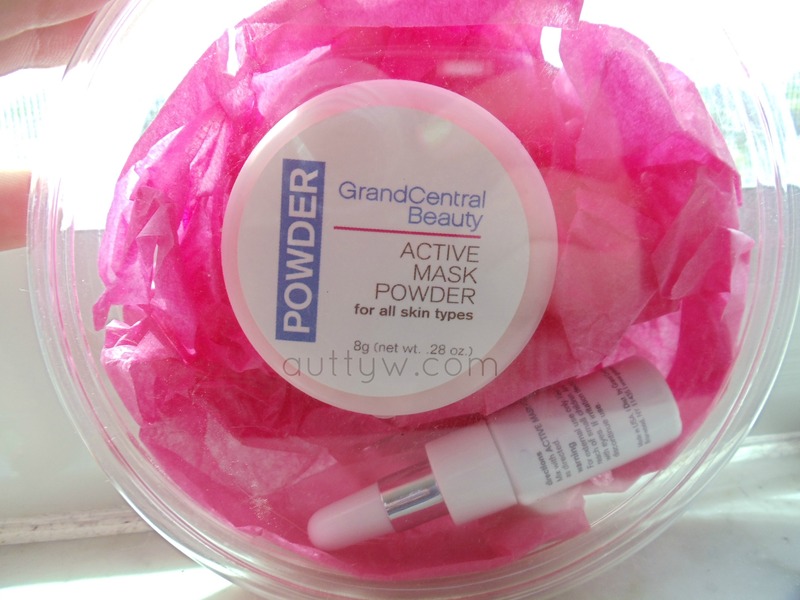 Grand Central Beauty SMART Skin Perfecting Mask. Active Powder for all skin types. The powder container itself is 8g (.28 fl. oz) and then the bottle on the bottom is what you mix into the powder to make it into a mask. The reason I say this is so big is because of the outer packaging. Inside the products themselves are a pretty decent size, but the overall packaging is huge. I feel that it is kind of unnecessary, but the outer package I guess is the mixing dish for this mask. I am excited to try it out though! Eek! It also comes with a "beauty book" basically telling you about the product and how to use it. I didn't photograph it because I didn't know it was there until I started typing this. Handy! 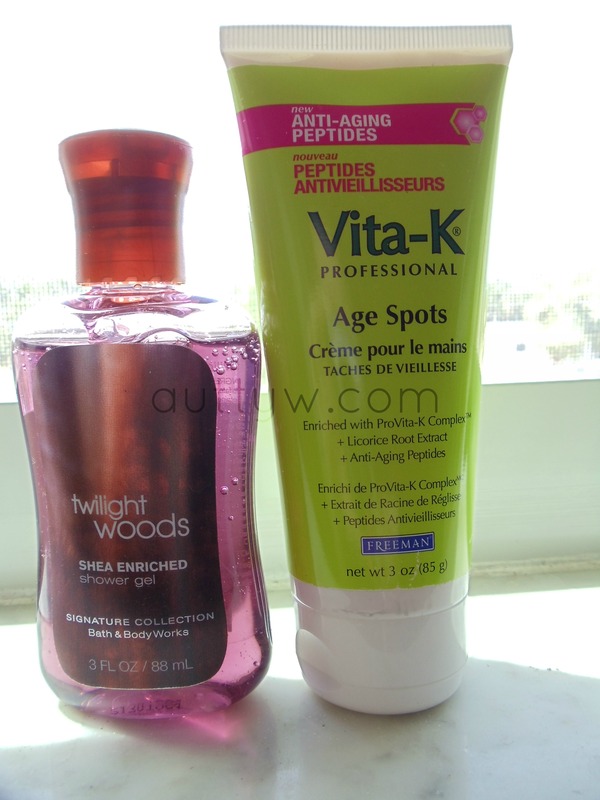 The next products are Vita-K professional Age Spots from Freeman. and the Twilight Woods Shea Enriched body wash from Bath and Body Works. The reason these two are photographed together is because they were in the outer box. The Vita-K is FULL sized! Which is pretty exciting. Granted I don't have age spots but I think it will be really good to use! Bath & Body Works has a new formula I guess from their old one so they are sampling this with BeautyArmy, now I LOVE the twilight woods scent. (Has nothing to do with twilight >_< Thankfully) and literally I LOVE this scent, I've had the previous shower gel, so I am excited to see how this "new" formula works out! I got an Atzen product last month and unfortunately for me I had to CUT the application off just so I could get the product out of it, which resulted in it drying up rather quickly so I didn't get to enjoy it! :( I'm hoping this one is different and I wont have to cut the bottom off just to get product. 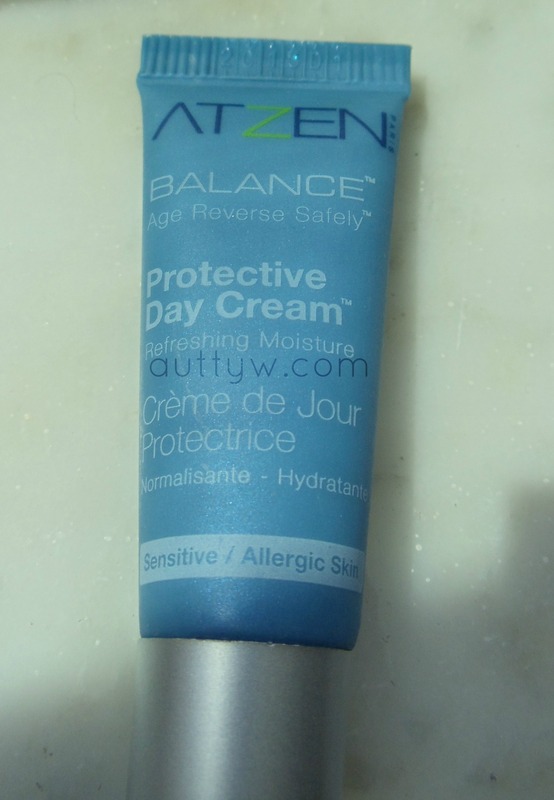 Now this says you can use it as a primer as well and its for sensitive/allergic skin. I'm excited to try it! My skin has been funky lately so, here is too trying it! The next product is ANOTHER Indie Lee product! Its her Coconut-Citrus body scrub! I was so freaking excited when I saw this as a selection. 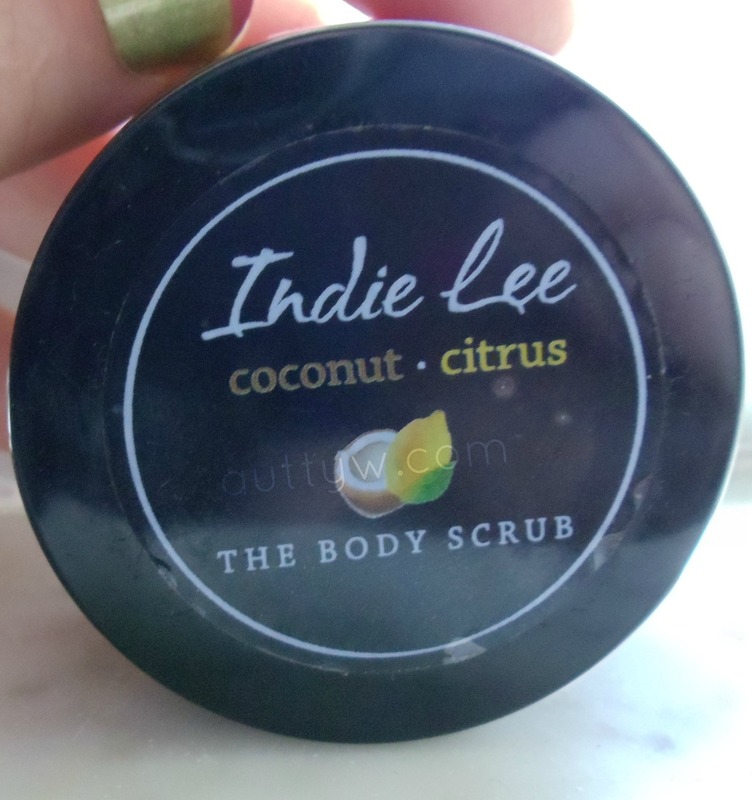 I got an Indie Lee product last month which I absolutely LOVE and just did a review about actually. But this stuff I am so excited to try out like you have no idea! Just as a size note, it smells absolutely DIVINE! It kind of smells like those sour lemon heads, but with coconut thrown in there. Yummo! 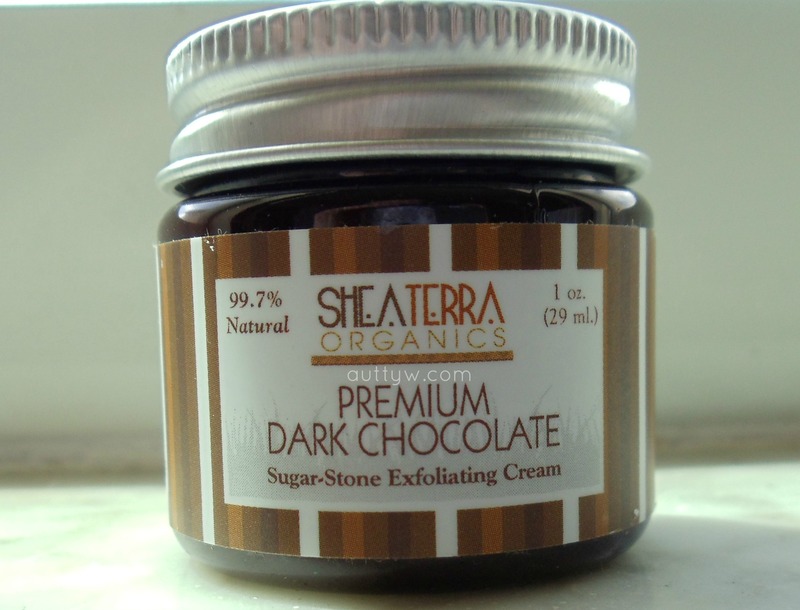 My final product for this month is from Shea Terra Organics. I have been WAITING for one of their products to jump into my selection since I started hearing about them. I got the Premium Dark Chocolate Sugar-Stone Exfoliating Cream. Overall, I have been extremely pleased with Beauty Army the past couples of months! This month and last month were simply amazing! I can't wait to see what they have in store for next month! Disclaimer: I am in no way affiliated with BeautyArmy nor any of the other companies. This box was not sent to me for free. I payed for it, just like I do every month. All opinions are my own. Thank you so much for sharing, Gorgeous! You should add your Recruiter code to your blog links so your readers can click through and help you earn free Kits! I will definitely do that. Thank you ! <3 It didn't even occur to me to put it!